Telugu superstar Allu Arjun completed 15 years of his acting career on Wednesday, 28 March. He made his acting debut on 28 March 2003, with the Telugu film Gangotri. The film also marked veteran director K. Raghavendra Rao's 100th film as well. Interestingly, it was his second film Arya in 1994 which worked wonders for Allu Arjun. The film went on to become a huge blockbuster at the Box Office and started the series of Blockbusters for the actor. His next releases including Bunny, Happy and Desamuduru bagged the blockbuster status as well. 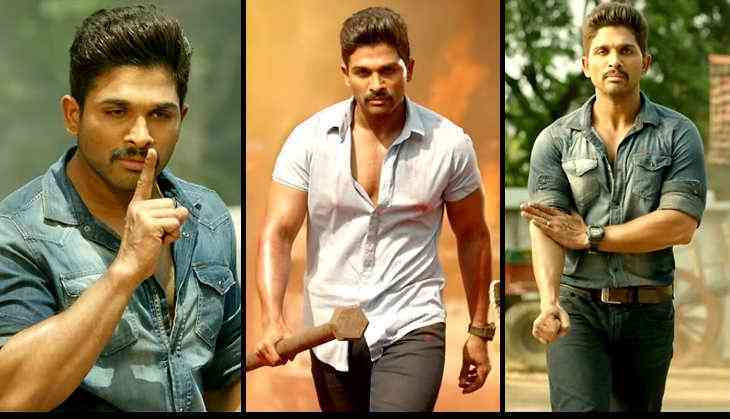 In fact, in his 15-year career span, most of Allu Arjun releases were blockbusters at the Box Office. Allu Arjun is only the second Telugu actor after Prabhas to have maximum Rs. 100 crore grossers. His previous releases Race Gurram, Sarrainodu and Duvvada Jagannadham crossed the coveted Rs. 100 crore club at the Box Office and his upcoming film Naa Peru Surya too set to become his 4th Rs. 100 crore grosser as well.